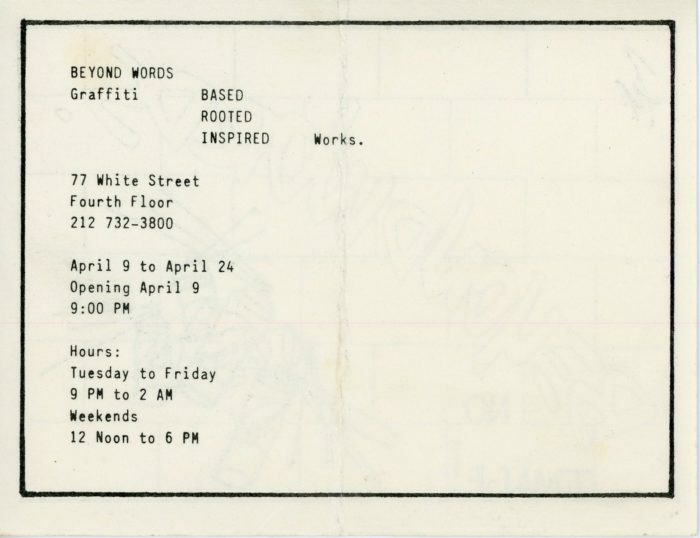 Card for Beyond Words: Graffiti-Based, -Rooted, and -Inspired Works at Mudd Club, April 9 – 24, 1981. 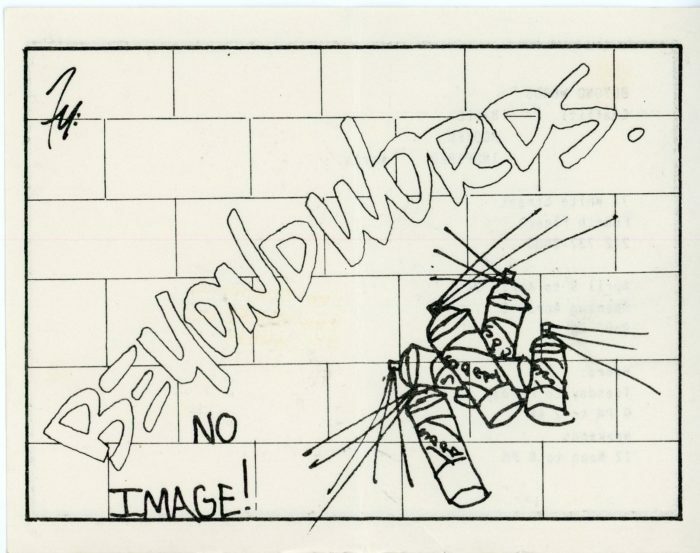 The exhibition was curated by Fab Five Freddy and Futura 2000. The front of the card was designed by Futura 2000.